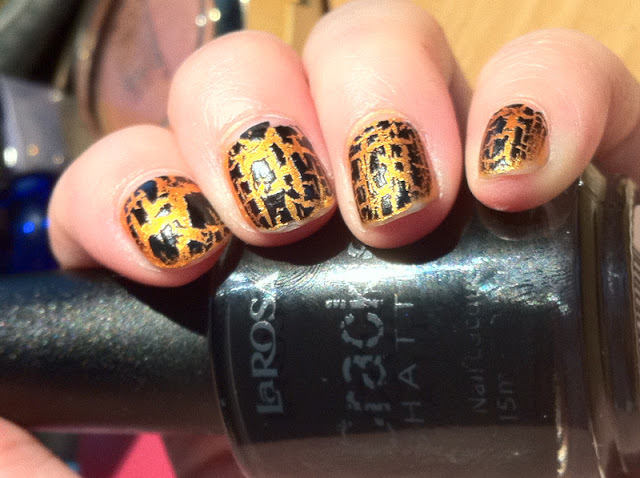 Today's NOTD features the LaRosa Crackle Shatter in Black Cat on top of the Dr.'s Remedy Nail Polish in Tranquil Tangerine. I will be reviewing the Tranquil Tangerine in another post. I find that that formula for the LaRosa Crackle Shatter is much smoother than the China Glaze one or at least I like the brush better. I love that Black Cat! This nail combination looks like one I can do for Halloween because it reminds me of a Jack-o-Lantern. I know I'm a bit slow in posting about crackle/shatter polish but I hope to try other colors in the future. The one I want to try most is the white crackle/shatter! Any good brand of a white crackle polish you would recommend? Be sure to enter my Pretty Woman Nail Kit Giveaway! @OreleonaHaha! Yes it does! I didn't notice it as an animal print. Looks like a black cat to me. Thank you for joining our Alexa Hop, have a great week! OMG!!! I love your nails!!! love the shatter! thinking to buy same color as you. great combination. @saltvinegarYou can search online for similar crackle polish! 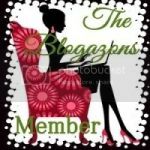 @JustCreamyGlad you like the colors!